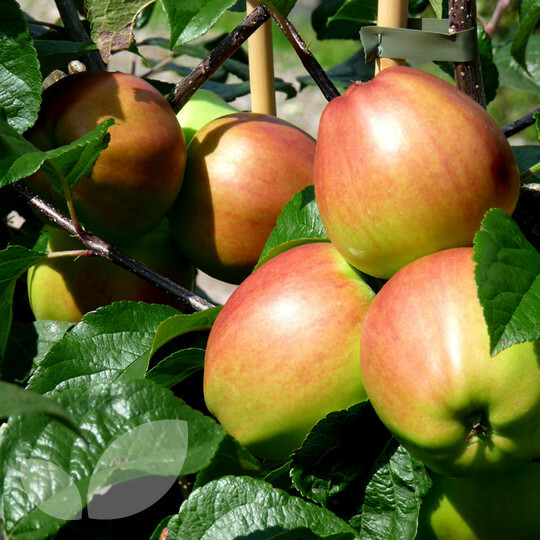 Dessert Apple Saturn fruit trees - A new scab and mildew resistant variety. Blushed red on green to yellow skin, crisp and juicy fruits. Very heavy crops of good quality fruit. Good choice for organic growing. Picking time late September. Pollination group 3. I have been very impressed with Blackmoor in the past so they were the first website I visited. I purchased 4 apple trees, Saturn being one of them and all seem healthy. Very pleased, I shall be back for more!